Mark McGeeney, born 1972, started to play darts in 1992 and joined the BDO Circuit in 2010 but his career didn't ignite before 2017. He won several tournaments in this year. 2016 he reached f the final of the Winmau World Masters and did the same in 2017. He in 2018 for the third time took part in the BDO World Championship and played himself into the final but lost to Glen Durrant. In 2017 he was invited for the first time to take part in the Grand Slam of Darts and he will again stand on stage in Wolverhampton in 2018. 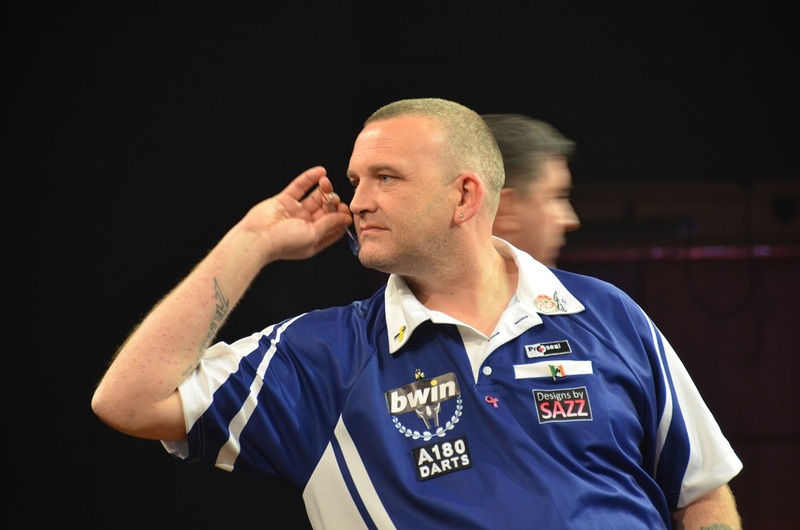 Mark - you entered the BDO World Championship this year as the BDO number 1. Was it more a motivation or more a burden for you? I didn't feel a difference. Playing at the World Championships is pressure enough. You took part for the third time in the World Championship. Till now you never survived the second round - this time you stood in the final. How disappointing was it for you to lose in the final? It was very disappointing or me. It is always disappointing to lose in a final even more so a World Championship. How do you handle defeats in general? I try and put it out of my mind. And move on to the next competition. And would you agree to sayings like "every defeat makes you stronger" or "you learn more from a defeat then from a win"? At the start of my career that may have been true but now I see things differently. And what did you learn from your defeat against Glen Durrant? That he had slightly more experience at that time. Does it matter at all for you against whom you play? And have you got different strategies against different players? It doesn't matter to me whom I play. I just focus on my own game. Everyone I play I play my own game not that of my opponents. Why is Lakeside such a difficult tournament to win? Probably because it is the only guaranteed tv tournament of the BDO. Your year 2017 was quite a successful year for you with several big open wins. Did you change anything in your "darting life" or how do explain your improvement? I believe losing my mum in September 2016 has made me more determined to succeed. I watched you during the World Masters and you played an impressive match against German Gabriel Clemens. You couldn't keep up the same form against Krzysztof Ratajski. Where you exhausted? Oh yes, I had been up since 5am that morning and the final was 2 hours later than scheduled. It finally started at 11.30pm. I again had the opportunity to watch you during the Grand Slam. Was the Grand Slam a difficult tournament for you? Not really difficult. It was a different atmosphere to BDO tournaments but I must admit I loved every second of it. Did the noise and the crowd affect you somehow? Not at all, it just took some time to adjust me to the unfamiliar surroundings. Do you like playing on stage and is it something special for you? Yes. For me it is the only place I feel comfortable. Do you get on with your PDC colleagues? Yes I do. They are a great bunch of guys. Do you look forward to return to the Grand Slam? Yes and I have already qualified for this years tournament. Could you imagine the PDC as an option for you? To be sure. For me it's definitely an option for the future. Are you a full time professional and is it possible to earn a good living playing on the BDO circuit? No, I work for a living. It would be difficult to earn a living in the BDO. Did you ever play BDO youth? Do you play county or league as well? Yes. I play county for Yorkshire and Superleague for Castle Bar. 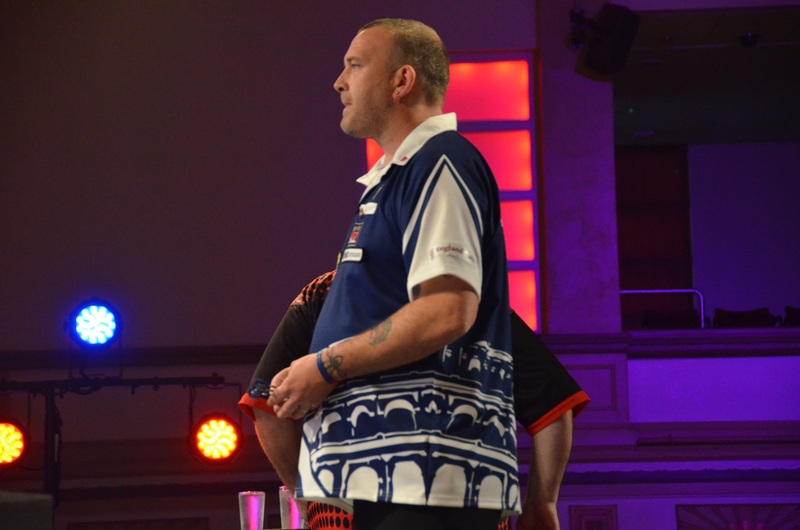 There are rumors this year's Lakeside World Championship was the last one - are you BDO players in any way informed what is going on in the BDO? And is it really only a rumor??? 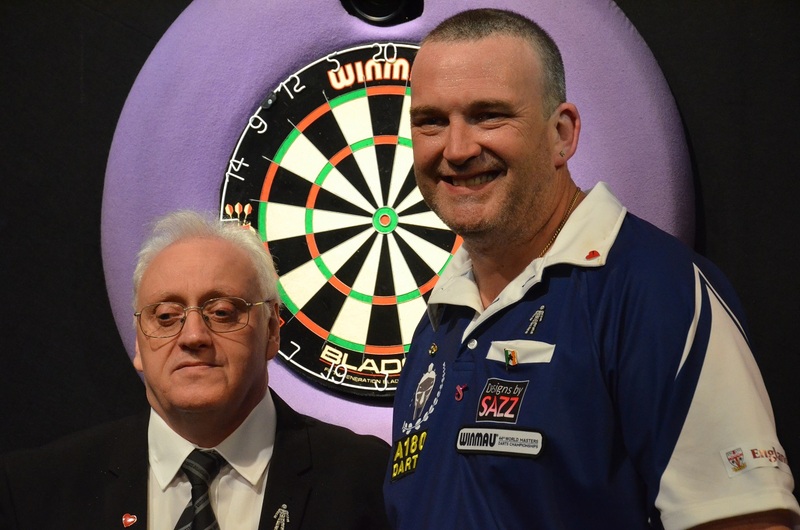 The BDO was criticized recently a lot by players like Ross Montgomery and even by Tony O'Shea. Do you agree with them and what do you think the BDO should change to survive and to offer an acceptable alternative to the PDC? I agree with both Tony and Ross but I wouldn't know where to start to put things right. 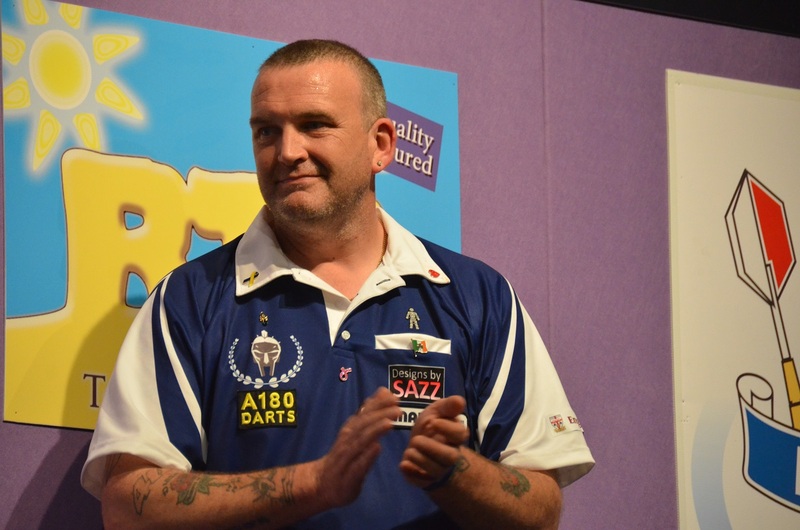 Who were your darting heroes and had you any role models? What was you first big success? The win of the England Classic in 2014. How does your practice look like and how much do you practice? I unluckily very rarely get time to practice at all. Do you prefer to practice with a partner or alone? I prefer to practice alone. Do you set yourself goals? Or might be you have a dream? I always set myself goals to be better than everyone else. Have you got some kind of "special tournament preparation"? No I treat every tournament the same. What darts setup do you play with and are you one of those players who like to fiddle about with it? I play with my own Mark McGeeney darts in 22.5g and yes I may tweak a few things here and there. Now-a-days quite a few players have a look at sport science and sport psychology - are you interested as well and might be use relaxation skills or positive self-talk or something similar? No, I do it all myself. 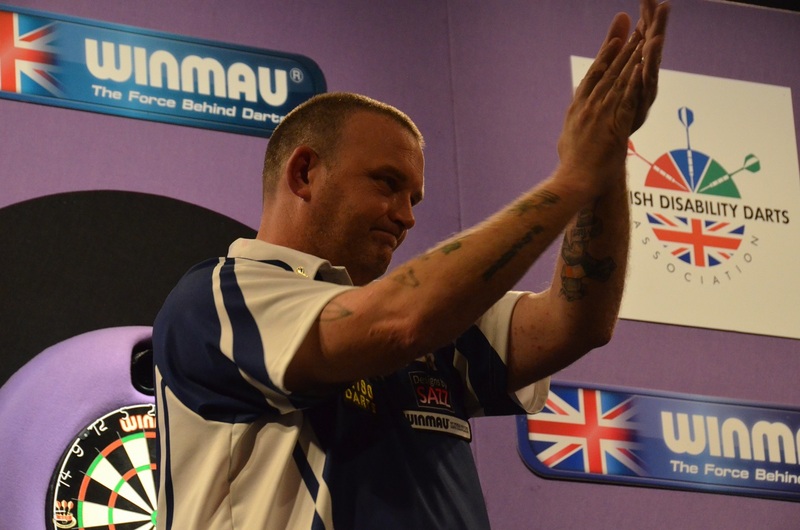 What do you think makes a really good and successful darts player? Most important are consistency and a strong mind. What would you think are your strengths? And might be you have some weak points as well??? My mind set is I have no weaknesses. Have you got a favourite tournament? That would be the Dutch Open and the British Open. 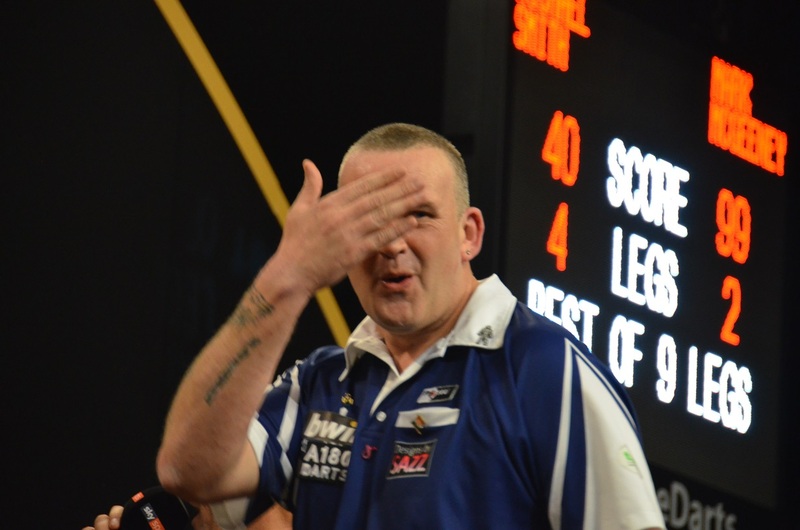 What is it that fascinates you most in darts? I can't say anything really fascinates me. Have you got other hobbies and interests outside of darts? Yes golf. I love the game, it is my passion.